Patrick – What’s been the most unexpected change in your life? 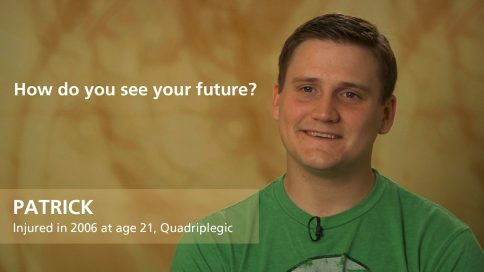 Patrick – How do you see your future? Patrick – What was your greatest fear at first? Patrick – What personal support was most helpful to you? Patrick – What were the important milestones in rehabilitation? Patrick – What was the hardest part about coming home? Patrick – What’s important for parents to understand? Patrick – What’s important for family and friends to understand? Patrick – What role has adaptive sports played in your life? Patrick – What do you do for fun socially? Patrick – How do you handle anger? Patrick – Do you ever feel guilty? Patrick – How did you handle going back to school?